Thomas Story was married to his wife, Rebecka, 29th January, 1707-8. Joseph Story was born Friday, the 4th May, 1711, at 12 o'clock of the day. Mary Story was born Tuesday, the 7th July, 1713, between 4 and 5 in the afternoon. Thomas Story was born Monday, the 25th April, 1715, about 9 p.m.
Ann Story was born Thursday, 24th January, 1716-17, between 9 and 10 p.m.
Anne Story, died 23rd June, 1717. Benjamin Story was born Monday, 14th July, 1718, at 2 a.m.
William Story was born Tuesday, 6th September, 1720, at 2-30 a.m.
Thomas Story, died the 3rd of December, 1744, in the 30th year of his age. Mrs. Story, died the 20th September, 1754, in the 71st year of her age. Benjamin Story, dyed November 1767, in the 49th year of his age. Mr. Story, died October 15th, 1768, in the 91st year of his age. John Story, died March loth, 1780, in the 72nd year of his age. 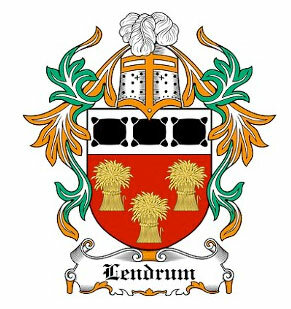 Mary Lendrum, died 5th June, 1781. William Story, died 7th January, 1782. The only record of his family speaks of two sons, though, from the Registry of St. John's Lee" Church, there must have been more. Sir George. She was succeeded by J. Sterne, 1717; so that the exact year of the family coming over to Ireland is uncertain. A note: intimates that two should be three, for Bishop Story in his will leaves a legacy. of 100, to his brother, Benjamin. There may have been more sons. Thomas Story, the elder, lived and died at Corick. Joseph Story, the second son, became Chaplain to the Irish House of Commons, Bishop of Killaloe and after wards of Kilmore. 1711, Joseph, Rector of Monaghan, married Widow Windus. 1718, Mary, married George Lendrum, of Moorfield. 1718, Benjamin, married Anne Thaker, a co-heiress. Thomas was succeeded by his eldest son, John, who, leaving no issue, was succeeded by his nephew, John Benjamin, son of his brother Benjamin, who died at Wicklow. On coming to Corick John Benjamin sold his inheritance in Wicklow. I hope these Story's link to the above - George Lendrum of Moorfield - who married a Mary Story. Looks like they could, but some dates do not correspond with the ones I have.